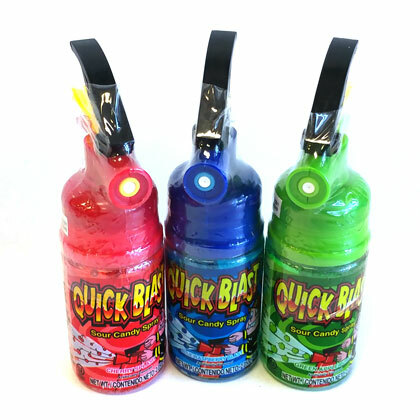 These sour spray fire extinguishers come in Blue raspberry blast, cherry splash, and green apple burst. Assortment may vary depending on availability. Each piece is 2.05 ounces. 12 count box.